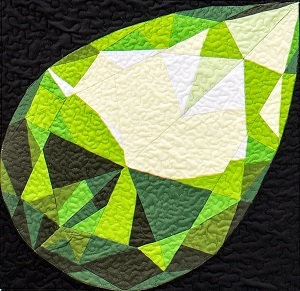 Join Nancy Strath, certified Gem Affiliate with MJ Kinman, Textile Artist, on August 16 rom 12 – 3, or 6 – 9 at Bow Bench Retreat, Nancy has created a comfortable, relaxing, fun environment to cultivate your creative passions, her enthusiasm and expertise help you over come your fears to learn a new technique! Every month we will celebrate birthdays, so join us for all 12 months and create your own Jewel Box of Gemstone Blocks! !